Open cell, charcoal gray urethane ester foam tape provides support and cushioning. Polyurethane ester foam tape has a slightly more rigid, or “crisp”, texture than ether foam and is often used to make custom packaging inserts and more. Polyester foam tape endures mild UV exposure, however; it is not recommended for use in wet or moist environments. Our ester foam tape is also UL-94 rated for flame resistance. 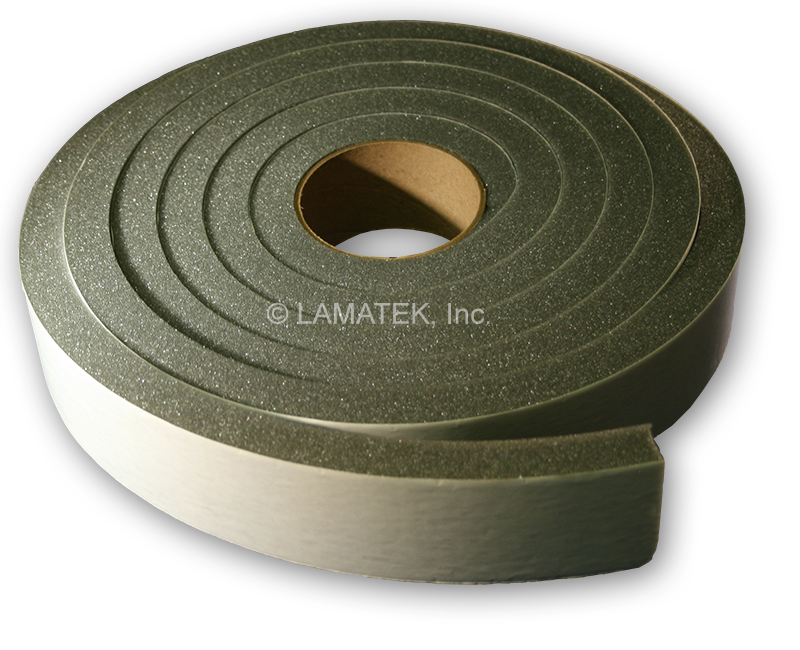 Like other open cell foams, polyester foam tape filters air, dust, insects, light and more. Ester foam tape provides good support and is a preferred choice for hat size reducing tape. Peel and stick ester foam tape makes a good protective foam insert for lining boxes. LAMATEK can also provide non-adhesive ester foam in custom cut packaging inserts.